Waterford County Museum: Thursday, July 7th Special offers for members in conjunction with the cinema in Dungarvan. Thursday, July 7th Special offers for members in conjunction with the cinema in Dungarvan. Tickets available for members at the museum for the reduced price of €10. Throughout the year, we will have specials in conjunction with the SGC Dungarvan. 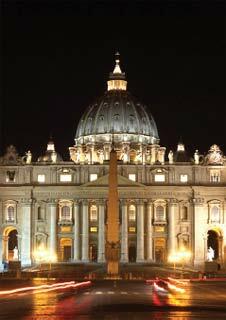 For the month of July, we will have St. Peter's and the Papal Basilicas of Rome. This is a unique film event on the occasion of the Extraordinary Jubilee proclaimed by Pope Francis. An exclusive visit to the four major basilicas in Rome to discover the hidden treasures of the Eternal City.